My man, Wilkie . . . . It may be possible in novel-writing to present characters successfully without telling a story; but it is not possible to tell a story successfully without presenting characters. This is what it says in my Booklover’s Birthday Book for today. On this day in 1824, the British author, Wilkie Collins was born. I think it’s still a pretty apt quote for a guy who would be 189 years old were he still around. The first time I heard the name Wilkie Collins it made me think of Wee Willie Winkie running around in his nightgown, yelling about kids being in bed by eight o’clock. Then I read his book, The Woman in White. I was a teenager by that time, and I thought his story was way better and eerier than any of the Nancy Drew mysteries I’d read earlier. It was my stepping stone to the mysteries of Agatha Christie (who, in turn, was my stepping stone to John D. MacDonald; I spent my early 20s a little in love with Travis McGee). Eventually, my mystery-reading phase was supplanted by my great American novel-reading phase and on and on until I outgrew reading phases entirely. His life was fascinating, as real lives often are. He was born with a bulge on the right side of his forehead which he never tried to hide, he studied Law (because his father thought it best), was called to the bar but never actually practiced. He was also unconventional for his time, wrote prolifically, was friends with Charles Dickens, published with him, wrote plays with him and acted in Dickens’ amateur theatrical troupe. All while supporting two families in two separate households (one under an assumed name), and suffering from gout and a laudanum addiction. He died of a stroke at the age of sixty-five. I think I’m going to have to go find me some Wilkie Collins books, because I do like characters. Happy Birthday, Wilkie. Here’s to you. Your books are back in print and you’re looking pretty good for your age. 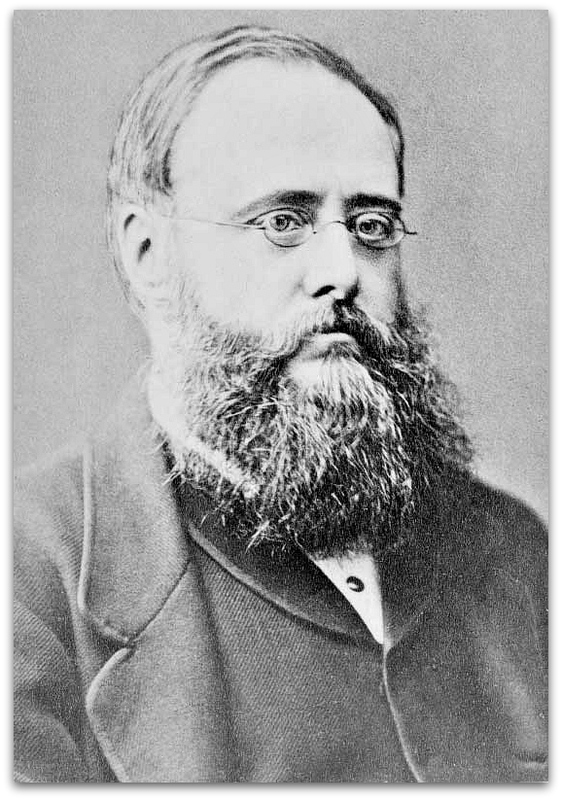 Wilkie Collins photo from Wikipedia. You barely notice his forehead protuberance. Or his laudanum addiction. ← End-of-year salmagundi . . . .
Sensible words, like the quote you shared, will always remain sensible. Wendell Willkie came to mind when I saw the title of your post. “Now, what’s she got to say about him?” I thought. I’m not familiar with Collins’ work. He clearly led an interesting life — one that would likely land him in the tabloids were he a contemporary writer. Wilkie Collins was an interesting man, and to be fair to him, his laudanum addiction came about because his doctor prescribed it for the severe gout pain he experienced. It’s amazing that he was able to write as much as he did. His work is similar to Dickens in that he used it to criticize what he saw as societal ills, but he tended to focus more on the unfair restrictions imposed on women in that era. Check out The Moonstone. I haven’t read it yet, but I’ve heard that it, and The Woman in White, are considered his best novels. Like Woman in White, it’s a mystery. Yes, do give it another go. I hadn’t thought of the book as resembling the ‘Odyssey’, but it’s been a long time since I’ve read, so perhaps I’ll read it again, myself. They did make a movie based on the Woman in White. I saw it when it came out (1997) and liked it. In fact, I’m going to Netflix right now to look for it…. Wilkie Collins is one of my favorite Victorian writers! Woman in White? The Moonstone? Couldn’t put them down! I haven’t read The Moonstone. I need to add it to my list. You should look for the biography on him – Brief Lives: Wilkie Collins. It’s fascinating! Mysteries are not always on my list of things to read either, nor are dystopian novels generally, but once in a while there are some that grab me. At any rate, those books that grab us are the ones that last and keep being reprinted! Collins’ work is a mystery to me as well, but judging from this quote, I’d say I would likely enjoy his thoughts. It is so true . . . . what he has to say about characters. I think you would, Cara, and yes, I, too agree wholeheartedly with what he says on characters. For me, that has always been what draws me into a story. I love a well-developed character! My daughter (Jennifer Flint) referred me to your blog today when I mentioned to her that I was reading a Wilkie Collins novel. I first read both The Moonstone and The Woman In White as a teenager and loved their long, intricate plots. I’ve reread both of them at least a couple of times over the years since. Now I’m reading No Name and finding it not only long and intricate, but rather stressful. It’s a bit like a soap opera — every time it seems like things are about to work out, everything goes wrong again. I’m about half-way through and have set it aside to peruse something lighter for a while. I’ll go back to it shortly, but I really needed to break the mood! I’m so happy you stopped by. You have a wonderful daughter!! When I first read ‘The Woman in White’, it was such a revelation – the first time I’d ever read a story told by multiple narrators. I loved it. I mentioned to someone else who commented on this post, that I hadn’t read ‘The Moonstone’, but then when I went to look for it, I realized that I had, but forgotten. As soon as I saw the plot it all came back to me. In a weird coincidence, I ended up getting the Kindle version of ‘No Name’ instead. I haven’t started reading it yet, now I’m wondering if I should bother? Although, I remember feeling exactly that way about ‘Far From the Madding Crowd.’ I put it down several times, and then out of desperation, I picked it up and pushed myself and got so engrossed I couldn’t put it down until I’d finished it. I stayed up all night reading. Hardy’s books are a lot like soap operas, too. Maybe it just takes a certain frame of mind at the right time? !